As an Advisor to Parisi Speed School, Dr. Staples assists with the organizational and operational direction of the company. 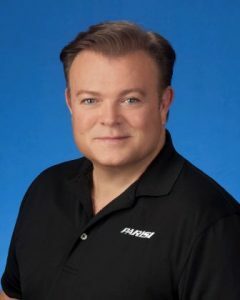 Under Paul’s leadership as the previous CEO, Parisi Franchise Systems has strategically and creatively reengineered the company’s structure, including marketing, sales and franchise support. His 25+ years in human performance improvement and human behavior management brings a unique perspective to Parisi and its franchise network. Dr. Staples received his Masters in Education and Ph.D. in Educational Psychology from the University of Louisville. He began his career with Marriott International, where he focused on human performance improvement initiatives for the hotel division. Ginger is a graduate of Radford University with a B.S. in Recreation Administration and attended North Carolina State University for additional coursework in Financial Management. Certified by ACSM and NASM, Ginger has held management positions in commercial, corporate and resort fitness facilities while continuing her passion of personal training. She began training for Parisi’s in the late 1990’s for three years. 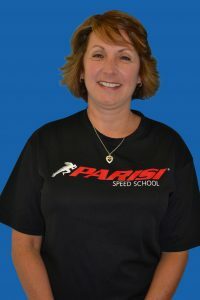 Taking some time off from her career, Ginger returned to the Parisi Speed School in the spring of 2008. She managed the Member Service Department with a primary focus on lead tracking, sales, and marketing of Speed School programs. 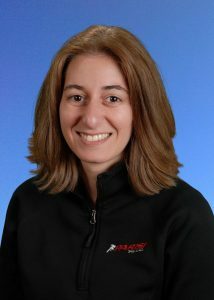 She has also spent time in the Health Club Division of Parisi’s in sales and integration development. Now working with the Corporate Franchise Team, she is responsible for all franchise support and compliance. In March of 2015, George was hired to be Parisi Franchise Systems first ever Director of Marketing. His primary areas of focus were franchise recruitment marketing, brand management and social media, while taking on additional responsibilities in the areas of network marketing and support in the years that followed. At the beginning of 2018, George was named Director of Brand Marketing & Development, and is now responsible for the overall strategic direction of brand marketing and business development initiatives, as well network marketing and support. Prior to Parisi, George worked for the Detroit Red Wings in a variety of positions within the merchandise department, from operations to marketing, for more than a decade. He graduated with a Bachelors Degree from Madonna University in 2003, majoring in Journalism and Public Relations. In her role as Director of Education, Carol is responsible for developing and executing the strategy for both Parisi Network and public education, including continued education courses, webinars, videos, blog posts, workshops and more. She also assists with the management of communication with the Parisi network, including social media, email and text. 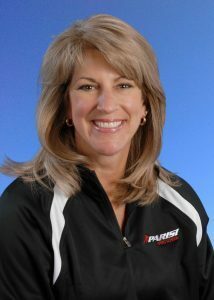 Carol brings a fresh perspective to the Parisi team. As a NASM-certified trainer, life-long athlete and competitive bodybuilder and powerlifter, Carol’s passion for health and fitness expands into every aspect of her life. Prior to Parisi, Carol spent three years at a mid-size digital marketing agency after graduating from Ramapo College of New Jersey with a B.A. in Communications. Randi graduated with an M.S. Degree in Kinesiology with a Sports Studies (Administration and Marketing) focus from the University of New Hampshire. While there, her interest in Sports Marketing led to a full-time position with the Athletic Department as the Assistant Marketing Coordinator. She was personally responsible for developing the marketing and promotional plans and Marketing Action Plans for 7 Division I sports teams, and for implementing and supervising event promotional activities. Prior to her continued education at UNH, Randi graduated with honors from Daemen College, receiving her B.A. degree in Psychology and a minor in Literature. An athlete all her life, Randi has been involved in many sports, both organized and non-traditional. 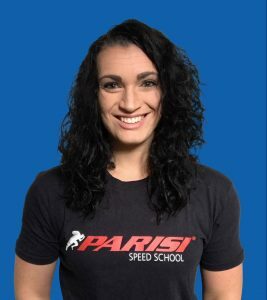 Interest in health and athletic related fields led her to the Parisi Speed School in 2004, where she now holds the position of Operations Manager and is involved in Franchise support. Jennifer joined the Parisi Corporate Team in 2015 to assist our franchises with marketing support. She helps coordinate monthly promotions and works closely with our Marketing Director and Graphic Designer. Jennifer also helps support our franchises with social media content and with the development of our corporate website. Jennifer is a graduate from Rutgers College in New Brunswick, NJ and has a Bachelor of Arts degree in Communications. After graduating she worked at AT&T in Corporate and National Account Management for 10 years. Before joining our Corporate team she was a full time Mom to Bill and Jennifer’s 2 boys. 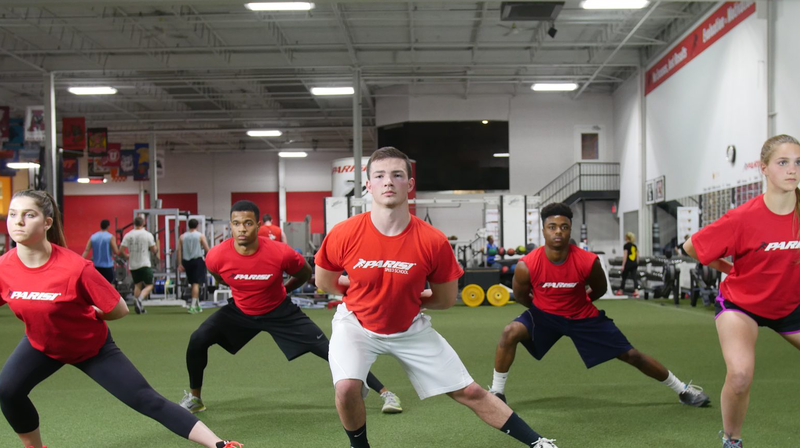 Having worked for Parisi Speed School in Fair Lawn and Morris Plains, N.J., for 15 years as a performance coach and program director, Steve now owns his own franchise location in Sparta, N.J., and assists the franchise corporate team. He holds multiple professional certifications and has years of coaching experience. Steve grew up in Hawthorne, N.J., where he was a three-sport varsity athlete. Realizing sports was his real passion, Steve majored in Exercise Sciences at Northeastern University and graduated with a degree in Sports Management from Centenary College. 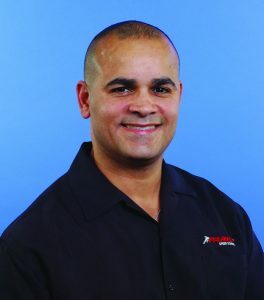 As a Parisi Speed School franchise owner, Eric brings unique experience to the corporate team. He purchased the franchise in 2006 to continue to develop the total athlete concept. Eric began his coaching career in 1990 with a high school track program, and spent the following 16 years coaching all levels of of athletes from elementary school to the National Football League. He grew up in Havertown, Pa., and attended Juniata College where he was a four-year letter winner in multiple sports. As a highly decorated Sergeant in the United States Marine Corps and Gulf War Veteran, John designed and implemented physical training programs for his fellow Marines. 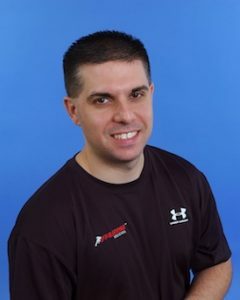 John’s experience includes serving as the Director of Training at Spine and Sports Care in Elmwood Park, where he studied and worked with spine, joint, and sports therapists. 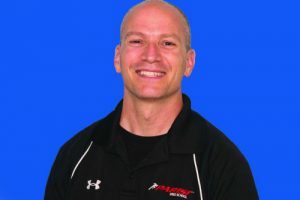 He has been one of the premier Performance Enhancement Specialists in the Parisi organization, having successfully trained over 1,000 athletes including high school, collegiate, and professional athletes. His service included the NFL Combine Program, where he assisted in successfully launching the careers of over 130 athletes, franchise compliance, and franchise sales. 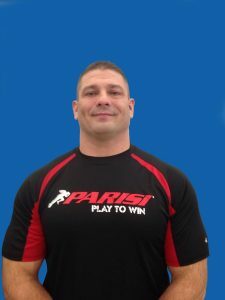 Bringing over 25 years of training experience, 15 of them with the Parisi Speed School, John now serves as the Parisi Program Director at NXT Gen, and is deeply involved in all stages of staff training, motivation and education, having certified over 300 performance coaches through the Parisi organization. 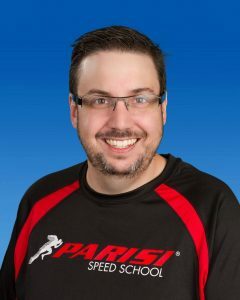 Chad Coy has been a part of the Parisi Speed School family since signing as the 13th Franchise in 2006. A graduate of Purdue University in 1991, Chad studied Exercise Science and Nutrition. Chad still has a strong commitment to as an athlete, and has competed as a professional strongman since 1998. He has won Masters’ America’s Strongest Man two times and placed second at Masters’ Worlds two times after 10 years as an open Pro. A Powerlifter from 1994 -1998, he has also won 2 National Powerlifiting Championships, 1 World Championship, and holds 4 American Records and 3 World Records. Chad joined the Master Trainer program in the winter of 2014 and takes great pride in helping educate the future coaches of the franchise.